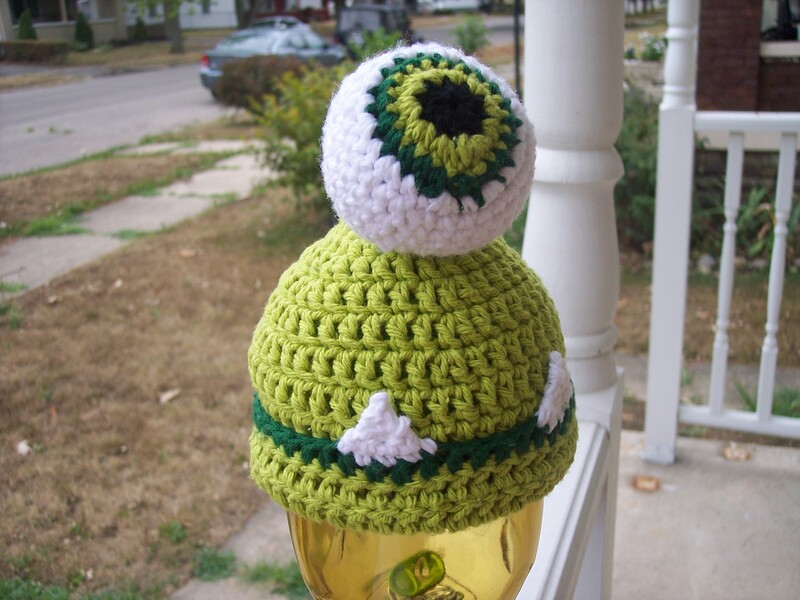 Could a Snaggletooth Cyclops newborn hat ever be so cute?? I cant wait to get this on a baby this Halloween for those first pictures. 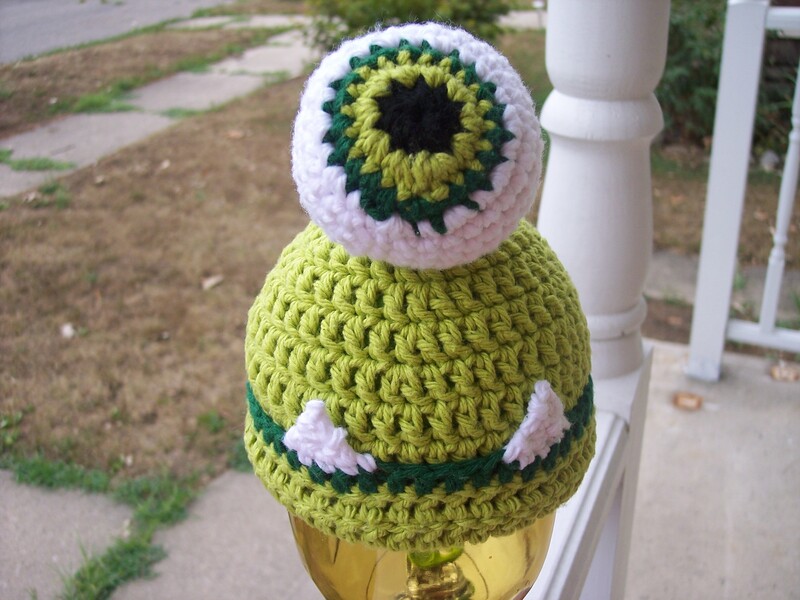 If you use this free crochet pattern for a little monster, I would love to see pictures!! 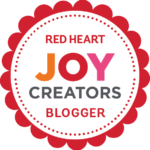 Everyone is welcome to share pictures of their creations to my Facebook page anytime. Working on the inside of the hat instead of outside, since the hat will be folded up you will want the pretty side of the stitch on the inside. 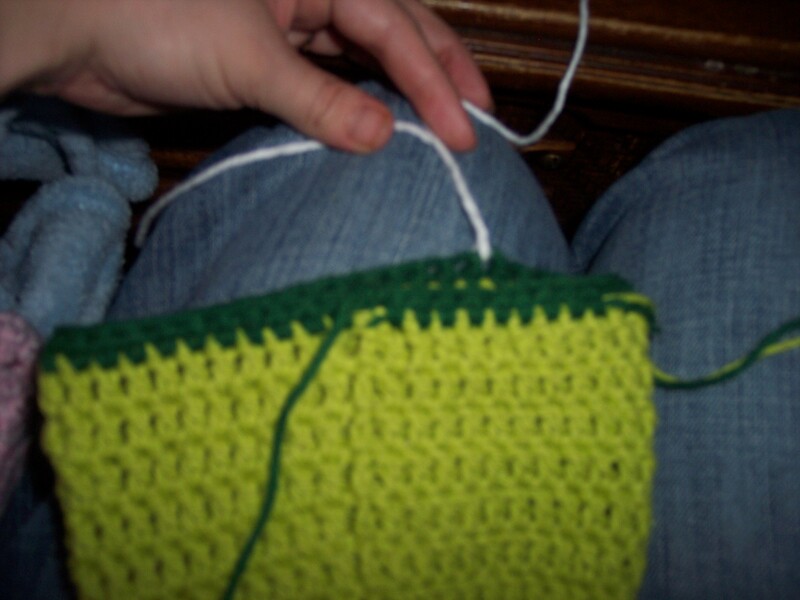 Row 30: CH 2, HDC around. Connect to top of CH 2. Finish off. Switch to White for TEETH!